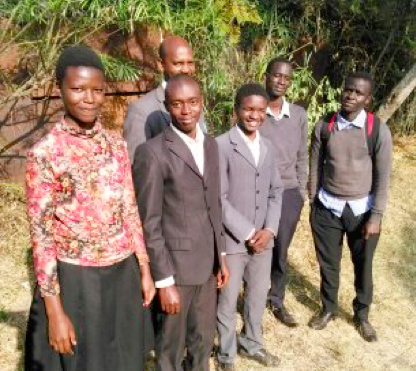 "We recently traveled to visit and be with one of our missionaries, George Wambua, in Machakos. While there, I helped with ministry for three days. We were encouraged to see that George is doing well in the midst of real challenges in his work. He has managed to gather around him for Bible study and Sunday fellowship a group of Machakos University students (below left). We thank God for having snatched these students out from a cult led by a man who purports to be a mighty ‘prophet’ in Kenya. The ‘prophet’ claims to be mightier than Christ! As I sat there listening to the testimonies of these students’ lives spent in this cult, I was filled with overwhelming sorrow in my heart. These false teachers are doing such a great disservice to the ministry. Pray for these students that their new found faith in Christ will settle their search for righteousness.